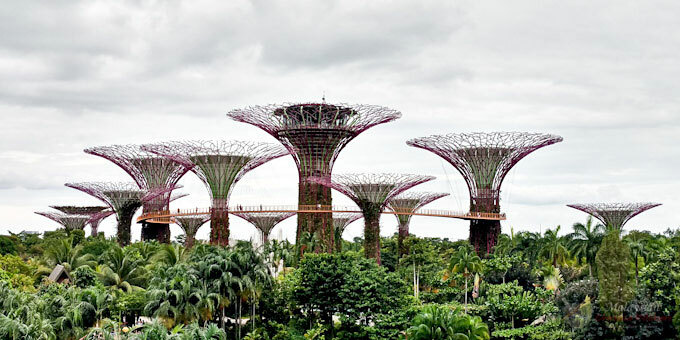 Shiok and Awe in Singapore – reconnecting with friends, enjoying awesome food, and visiting iconic landmarks on this compact island nation. Our morning flight to Singapore from Bangkok took about 2 1/2 hours. We were met at the airport by our dear friend who took us directly to our hotel at Bras Basah Road. We agreed to meet later for dinner that evening. We checked into a room on the 15th floor with a fairly decent view of the city. 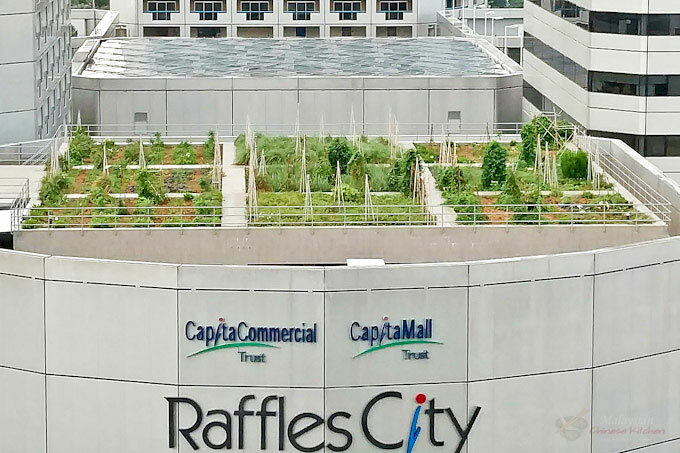 Right across from the elevator was the Raffles City Mall rooftop vegetable garden. I would spend a few moments just looking to see if anyone was working in it every time I used the elevator. 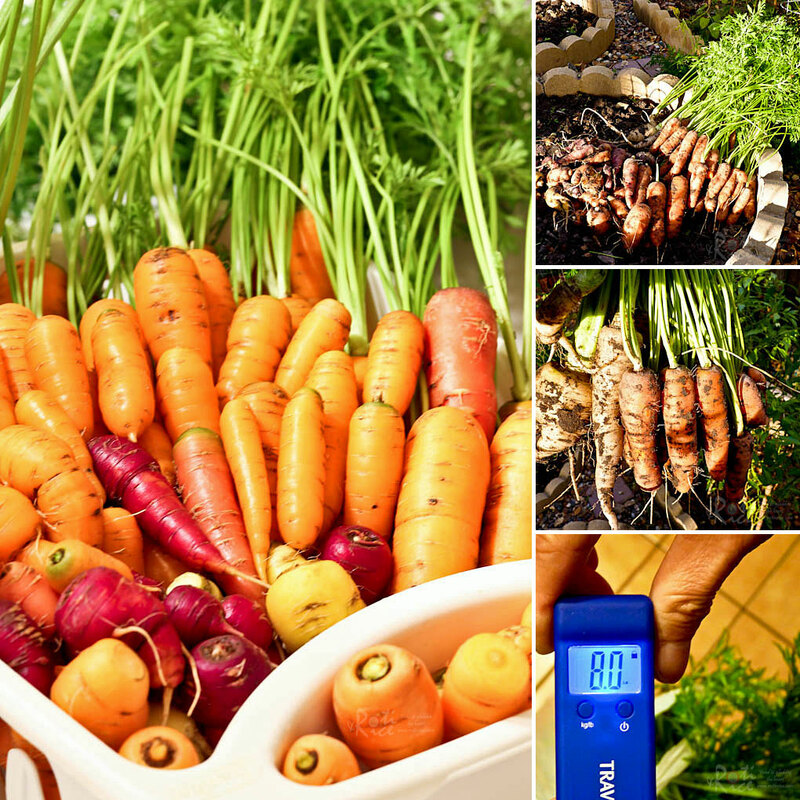 Reminded me of my own vegetable garden back home and the 8 pounds of carrots I harvested the evening before I left for Bangkok. 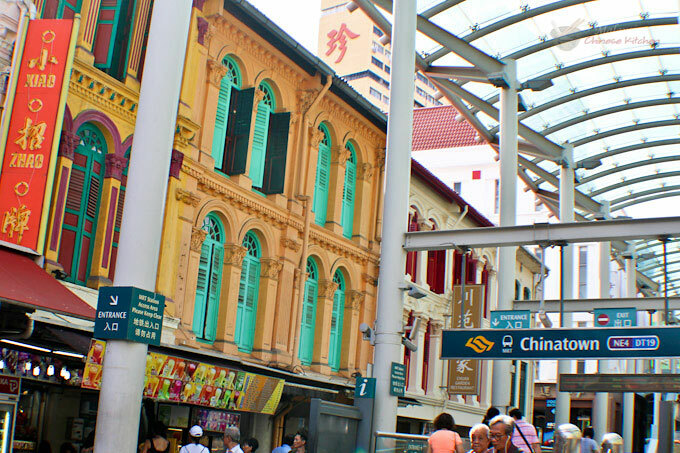 It was a short skip to Bugis Square from the hotel. The second floor has a large food court for local fare. It was difficult to make a choice as there were so many things I wanted to eat all at once. I finally settled on fish head beehoon but went into “cheat” mode and ordered fried fish fillets instead of fish head. Here, I was able to communicate in my own dialect and agreed to have a little milk in the soup, all the while chatting with the vendor. I helped myself to a saucer of chili padi (bird’s eye chili) dipped in soy sauce. The soup was piping hot, the chili was spicy, and weather humid. I was perspiring, eating, and thoroughly enjoying my bowl of noodles. It was so tasty. Very shiok indeed! 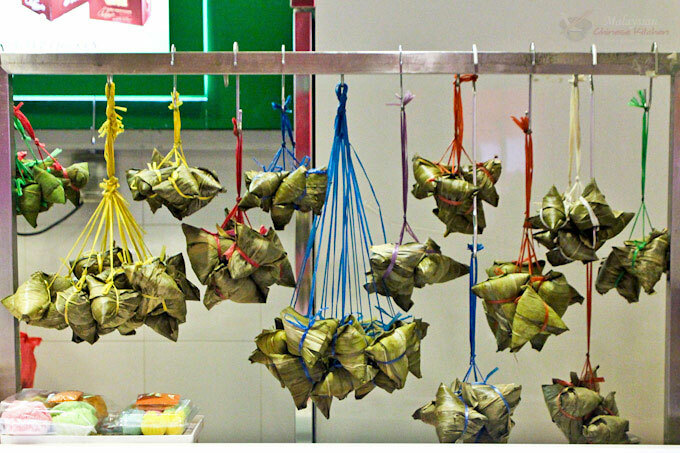 By the way, don’t you think that hanger is a really neat idea for bak chang? I think I need one in the kitchen. Dinner was at Food R Us on Queen’s Road. We had a mix of old favorites and new dishes. The appetizers for the evening was fried salmon skin with a spicy shallot sauce and pickled green mangoes that really whet the appetite. I would love to replicate that pickled mango sometime. Then came the char siu, Hainanese chicken, and wat tan hor with mega shrimps. The chicken was smooth and silky and the noodles were simply delicious. Dessert was chilled mango, pomelo, and sago in coconut milk. It was light and refreshing. We were stuffed! The conversation around the table was great and an encore was in order. Thus, ended our first day in Singapore. Day 2 started with buffet breakfast at the hotel. So much to eat and so little room in the tummy with simply too little time to appreciate everything. We were so spoiled for choice, it became a dilemma! LOL! 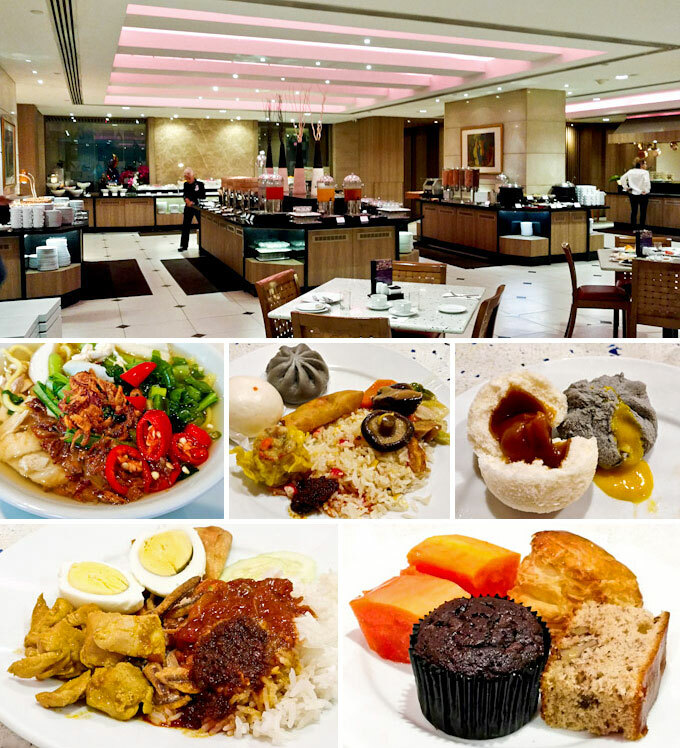 I stayed mainly with local favorites like noodle soup, Teochew porridge, dim sum, sweet baos, nasi lemak, and the likes. They also have an good selection of baked goodies and they are proud to show it. This hotel bakery is located to one side of the hotel lobby with a huge window for all to see the action going on inside. 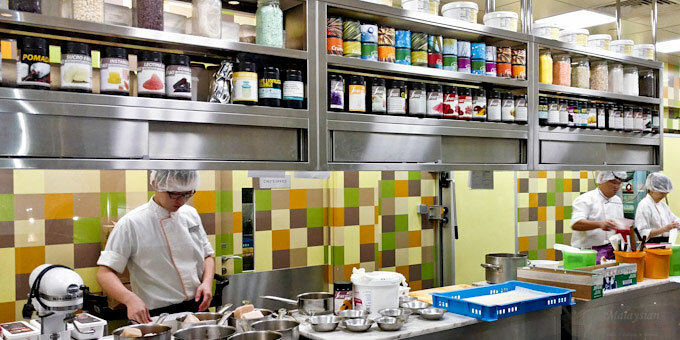 I have to say that the bakery is remarkably neat and the chefs are stellar in their professional demeanor as it is like working in a fish tank. 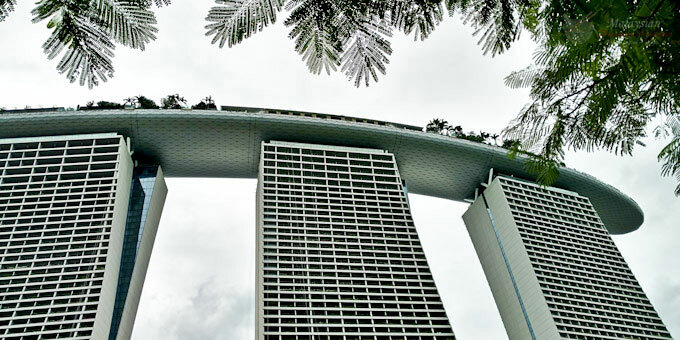 After a good breakfast, we were ready to head out to Marina Bay Sands for an up close and personal look. We were watching their spectacular light display from across the bay 6 years ago, just two days before their official opening on June 23rd, 2010. 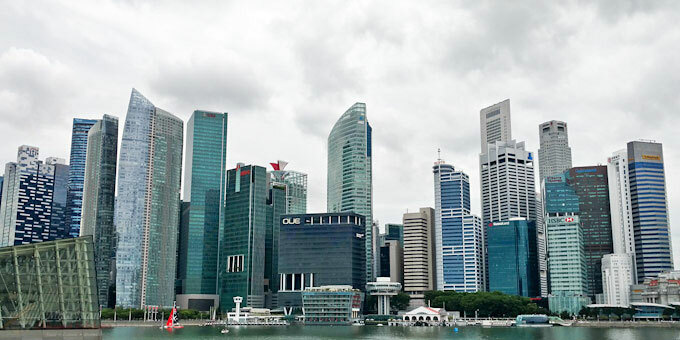 This time we got to see the view from the hotel and we could see the Singapore skyline which was pretty spectacular. After which, we made our way up to the SkyPark and got a good view of the Supertree Grove at Gardens by the Bay. They looked like something out of a sci-fi movie! By then it was close to lunch time and we decided to head back towards our hotel. For lunch I had my favorite pick-your-own, highly customable yong tau foo noodles at one of the food courts. I really like this stuff and it is always on my things-to-eat list whenever I visit Singapore. You can also choose different kinds of noodles and soup. I chose the curry soup. We did more shopping and grazing. For dinner, I knew exactly what I wanted – a bowl of Teochew style dry noodles with fish ball and fish cakes in a clear soup. This is one of those simple noodle dishes that I enjoy and once took for granted. The next day was a replacement holiday for Deepavali. 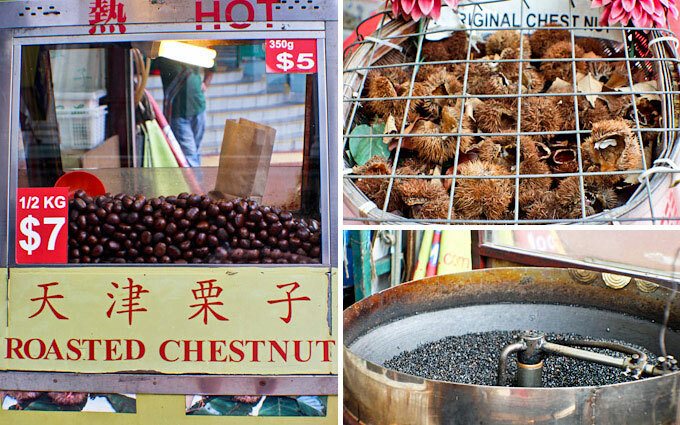 Paul had the day off and so we headed over to Chinatown with the specific purpose of getting malwa nuts for leng chee kang. I was also on the lookout for one of these automated chestnut roasting machine so that I can take a picture of it. I played the tourist here and took several. Mission accomplished…phew!! Would you believe that it was lunch and dinner time again soon after that? For some reason I only have my dinner time pictures. Paul had a dinner appointment with some of his school friends and so he took off after tea time. I was at Suntec City and decided to grab a quick bite before taking the MRT back to the hotel. This was a pork ribs rice set that came with a drink, soup, and dessert for SGD8.00. I think it was a pretty good deal. I was satisfied and made my way back to the hotel to catch up on my emails and blog stuff. 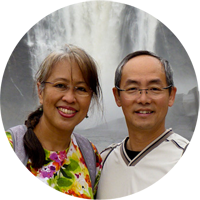 I had made prior arrangements to meet up with Denise who used to blog at Singapore Shiok. She has now moved on to other pursuits but we still keep in contact. Since I have had so much Chinese food in the past few days, we decided to go Indonesian for lunch. 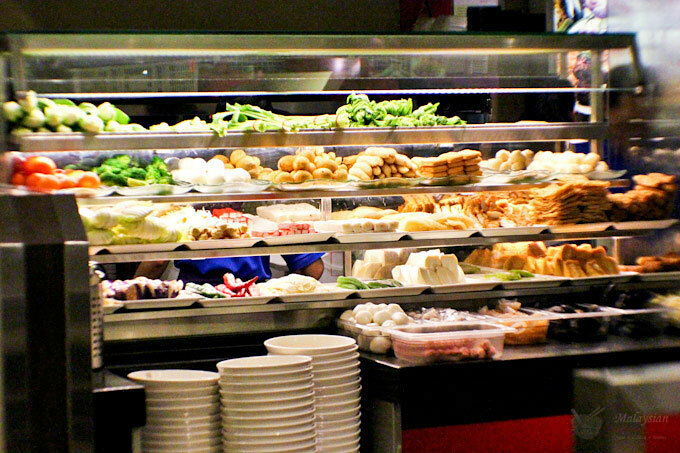 I made my way to Far East Plaza where there are several Indonesian restaurants. She took me to her favorite one and ordered Ayam Bakar Surabaya (grilled chicken), Tahu Telor (deep fried egg and tofu with fragrant peanut sauce), Empal Bakar (grilled beef), Cah Kacang Panjang (stir fried long bean in belacan), and Rujak Mangga (cut green mangoes in Indonesian rujak sauce). Everything was delicious! I would love to recreate that Tahu Telor one of these days. We chatted like there was no tomorrow and decided to go over to Takashimaya for dessert. I wanted something light and refreshing and she got me this delightful tau huay (or tau foo fah) with cincau (grass jelly) which reminded me of my Ebony n Ivory Dessert. I was stuffed and ready to go back to the hotel to meet up with Paul to go out for dinner. By now you must be thinking that I never stopped eating and you are not wrong…LOL! I told ya it was Shiok and Awe in Singapore! Dinner was at a seafood restaurant at East Coast Parkway. Remember the encore we were planning with our dear friends? They pulled out all the stops and we had 10 dishes this time! Not shown is the fried mantou to mop up that chili crab sauce. 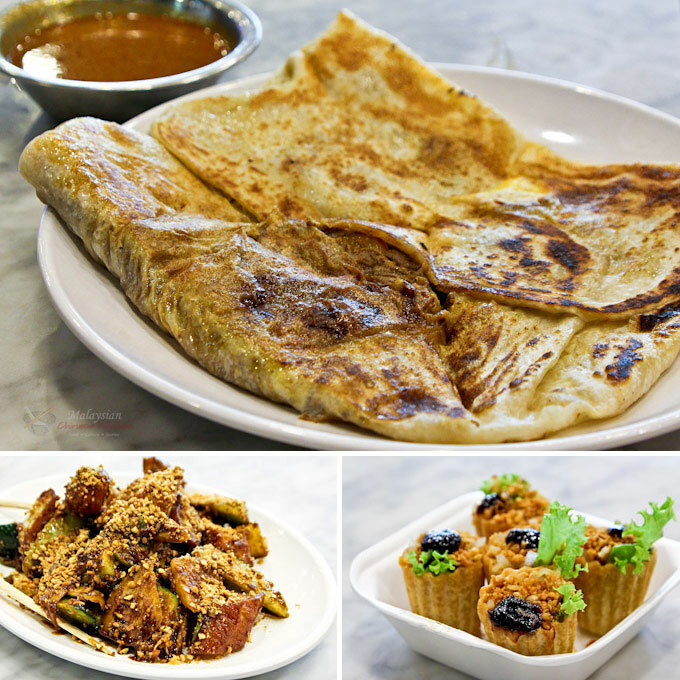 I am telling you, Singaporeans love their food and we are more than glad to join them…haha! That steamed scallop on a bed of glass noodles was light and very tasty. Lovely presentation too. 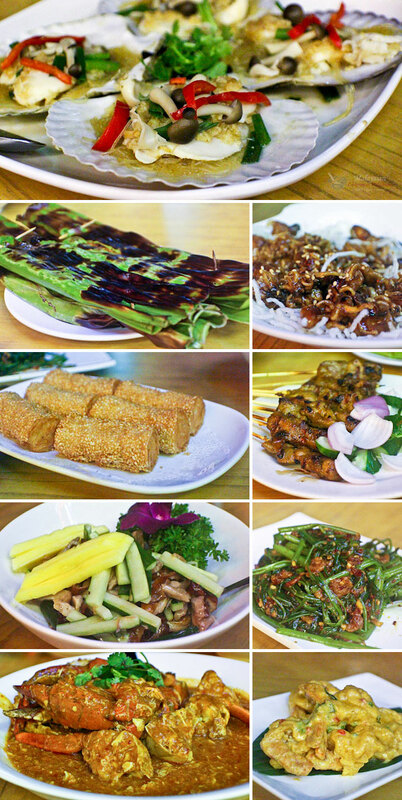 Then there was otak-otak, crispy baby squid, and stuffed yew char kway. 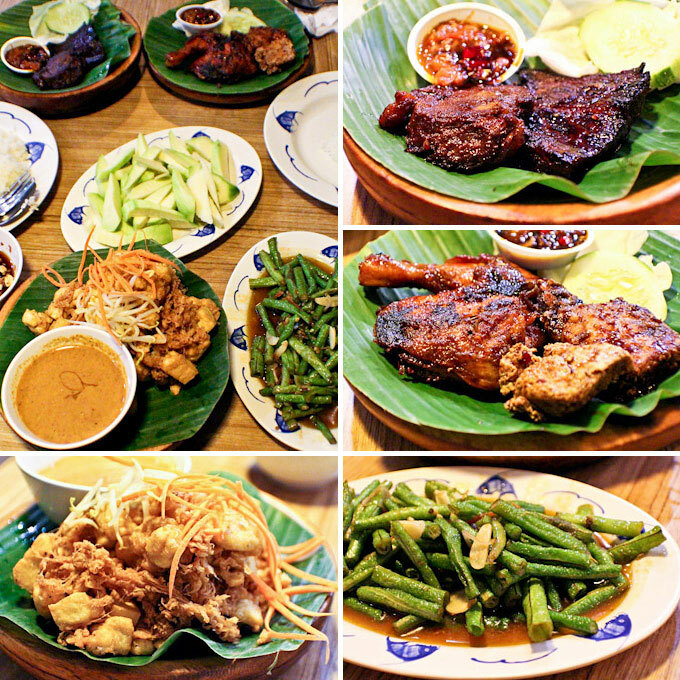 Followed by satay, duck salad, and belacan kangkung. 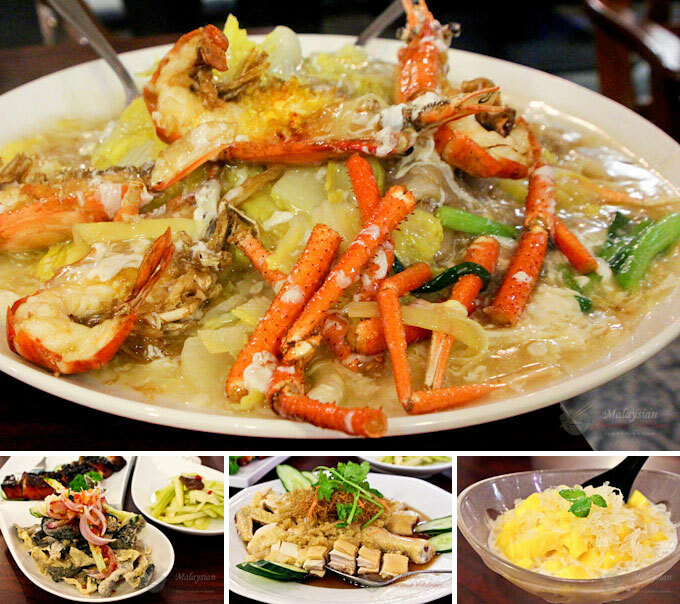 Then came the chili crabs and salted egg shrimps. Was that a feast or what! Now, one (wait a minute!) maybe two more dinners before we hop across the Causeway to Malaysia. 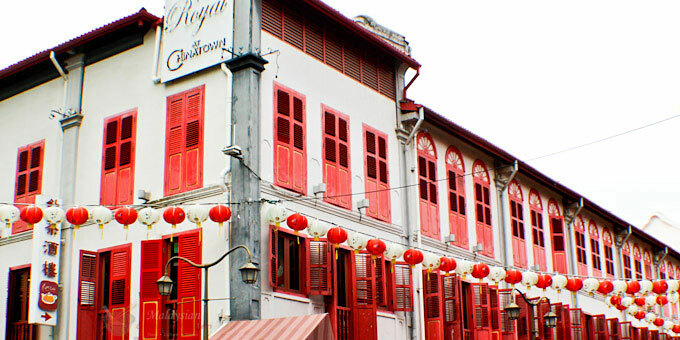 Ann had told me that the chicken rice close to our hotel was a popular one and I had seen the lunch time crowd there. She also told me that I should try their Hainanese pork chops. It was a rainy evening and so the short walk across from the hotel was most convenient. Instead of Hainanese chicken, we went with roast chicken and we only ordered single portions. Paul said he wanted to eat (what we call) Seremban style beef ball noodles before we left Singapore and so we took the MRT once again to the food court in Bugis Square. Okay, I think we have eaten all we could to last us until the next visit. Many thanks to you for the sumptuous and delicious lunch. It is friends like you that make my stay in Singapore so memorable and that is why I visit time and time again. Big hugs to you and your family and Merry Christmas. May the Lord bring you peace and good tidings of great joy! So what is the name of the hotel you stayed? I would like to go too, for the view and its central location. but not name of hotel !! It is the Carlton Hotel. 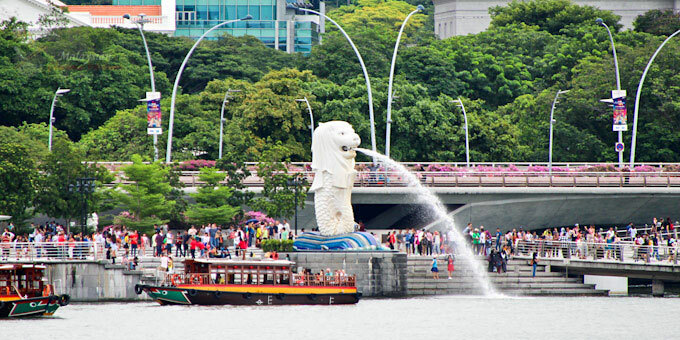 I just stumbled upon this blog and it made me realised how much I miss Singapore (most especially the food)… I look forward to revisiting next month and reminisce on my four year stint there – it will be shiok and awe as well!! Welcome to the blog, Marvin. I hope you have a fantastic stay in Singapore.